Israelis are among the world’s largest exporters of agricultural produce. 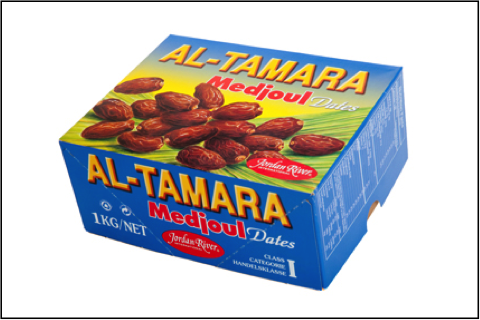 According to a report by the WhoProfits Research Center, 40% of the dates they had grown in 2011 were exported with a profit of $265 million. Most date groves are located in the occupied part of the Jordan valley and Dead Sea area, with illegal settlements producing up to 60% of Israeli dates and up to 40% of those are exported. 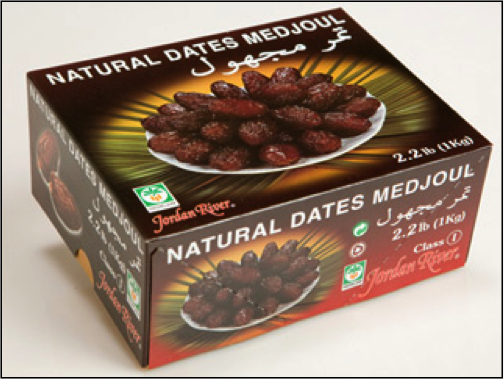 Over half of the world’s Medjool dates are grown in the occupied Jordan Valley. Ever since the seizure of Palestine in 1948, anti-Zionist movements and many Muslims have embarked on a peaceful campaign of economic boycott, seen as the ‘minimum’ one can do to pressure the Zionist government to halt its crimes and oppression. Many times this comes as a reaction to major transient events, whilst the on-going occupation is rarely considered enough of a reason for the boycott to persist, when weighed against the quality of products Zionist producers cultivate from the blessed land. This is often justified by the premise that it is permissible to make purchases from the People of the Book, even during times of war. This is supported by various ḥadīth. However, the Palestinian cause is unique. Their land and rights have been completely and unrestrainedly stripped. A verdict also exists on the issue though it is unfortunately often overlooked. 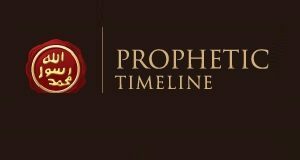 The first to present this Fatwa was Sheikh (Dr) Ahmad al-Raissouni in 2010, a Faqih and authority in Islamic Fiqh (born in 1953 AD). The Sheikh is a founding member and the current President of the International Union of Muslim Scholars. He is currently the Director of the Center for Studies and Research in Maqaasid in Rabat and has held this position since late 2012. He also serves as a member of the Executive Council of the World Forum of Muslim Scholars, within the Muslim World League. 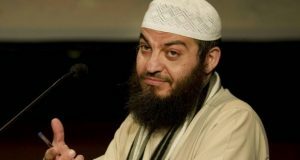 His Fatwa has the support of numerous scholars who have also reviewed it and champion it from a legal Islamic perspective. I also endorse and support this verdict myself. Are they not ‘the People of the Book’? These are in addition to Shams, Delilah, Rapunzel, Bomaja and others, some of which imitate Arabic names and can deceive one into buying them with good intentions. The above are widely sold in most High street stores, with significant spikes in sales during the month of Ramadan. 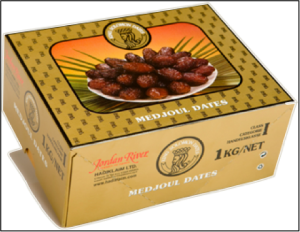 The importance of this matter should not need stressing when we consider the vast majority of us consume dates when we break our fasts. Let it not be that we fast throughout the day from that which Allāh has made permissible, yet break our fasts with that which Allāh has made impermissible. Imagine the hunger and thirst you experience for the sake of Allāh, the patience one exhibits throughout the long, hot, summer days in the month of Ramadān; now imagine the reward for that being washed away because of our heedlessness in this grave matter of the violation of the rights of the creation of Allāh. Sheikh Ibn Taymiyyah presents the ruling on purchasing goods that have been seized unlawfully. See Majmoo’ al-Fataawa (29/276) and Majmoo’ al-Fataawa (29/323). Previous: Golan Heights Fiasco: Trump’s ‘Deal of the Century’? 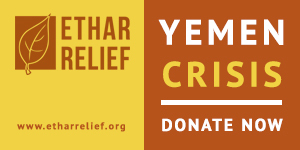 How about the YAFFA brand? Does anyone know if this is a trustworthy brand? It says it sells Palestinian products on the website. I think it is a futile act to argue the truth with uneducated, non-believing, bigots. The unenlightened will never be willing to look at things from the point of view of others but only from their limited sphere. We as Muslims should not be arguing about boycotting “dates” from this country because it should be a natural thing to do from a humanitarian point of view, regardless of whether you are a Muslim or not, and for any practicing right minded Muslim. Instead we should be offering our support as well as to boycott every product from that country and every other country practicing oppression and killings of a people whose belief is in conflict with theirs. 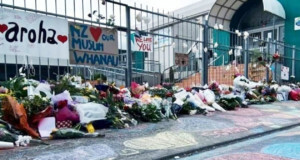 Our Ummah needs to unite more than ever now on such issues. How more than half of the world condemns Zionists occupation of Palestinian lands , so why the followers of Allah can forget the gresome atrocities committed by the Israelis? That’s so shameful. It’s so Nobel of Sheikh to have issued this Fatwah, it’s a peaceful protest & condemnation, which has greatest impact on defending our Palestinian Muslims against the greatest offender Israel. May Allah instill fear of Himself in our brothers who for whom I pray for their guidance, they better consult Quranic injunctions too on these matters. It’s so clearly stated by Sllah (SWT) too. ABDUL MALIK IS SERIOUSLY WRONG WHEN HE NAMES COUNTRIES THAT HE CLAIMS WERE STOLEN FROM MUSLIMS. HIS KNOWLEDGE OF HISTORY IS ABYSMAL. 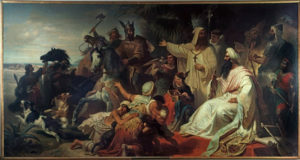 FOR EXAMPLE, SPAIN WAS A CHRISTIAN COUNTRY BEFORE ISLAM WAS CREATED, INDIA (AND EAST ASIA) WERE HINDU THOUSANDS OF YEARS BEFORE ISLAM WAS CREATED, AND ISRAELI JEWS WERE DRIVEN OUT OF THEIR HOMELAND BY THE ROMANS BEFORE THE RELIGION OF ISLAM EVEN EXISTED. HOW DID THE MUSLIMS APPEAR IN PALESTINE? BY MAGIC? SOME OF THESE COUNTRIES HAVE EXPELLED MUSLIMS, (EG GREECE, SPAIN, SERBIA, MACEDONIA) BUT ISLAM STILL OCCUPIES HUNDREDS OF MILLIONS OF SQUARE MILES OF LAND FROM INDONESIA TO MOROCCO, MOSTLY TAKEN BY FORCE, WHICH USED TO BE NON-MUSLIM. PRACTICE WHAT YOU PREACH AND GET OUT OF THE CONQUERED LANDS YOU OCCUPY (OR AT LEAST MAKE THEM DEMOCRATIC). LONG LIVE THE ARAB SPRING. Wel you say jews where driven out of israĕl by ROMANS. (not MUSLIMS) And you ask how did the muslims get into palestine….ever heard of conversion. Jews of that time didnt all stay jews many converted to islam. And others stayed jewish and lived peacefully next to muslims and christians etc…and your comment about practice what you preach how come the countries christians take over become 100% christian…. let me tel you, people are forced to become christian (not MUSLIM) or die. I’ve said in previous posts that ALL colonialism and empire building was evil, including Christian and Moslem. I don’t “preach” Christianity. Yes, compulsory as well as voluntary conversion took place with Islam as well Christianity. I’m not an apologist for colonialism or Christianity; I’m an ATHEIST and believe that governance should be democratic and accountable as far as possible. PS I don’t eat Weetabix, but porridge. The Kalahari Medjoul from Karsten Farms is NOT an Israeli product. It’s grown in South Africa. 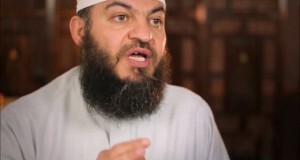 Sheikh, doctor al haddad, how about making all products of indian origin haram. 1) How about products (such as fruit) from Spain? They are from lands which were illegally, unethically and inhumanely stolen from Muslims. The only difference is the greater passage of time from that theft. Other examples include products from India or any other land which was once settled and ruled by Muslims. 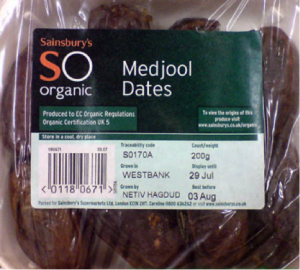 What makes dates from Israel haram to consume, but oranges from Spain halal? 2) Boycotting Israeli products further impoverishes the Palestinian Muslim employees and workers who depend on this work for their livelihoods. They queue at checkpoints to get to their work on date groves. We would be imposing further hardship on them by boycotting them. Has this consequence been taken into account in this fatwa? 3) The Shaikh advocates a specific political action (i.e. boycott). This is from his own political analysis and ideas on how to respond to a specific political problem. However, he is saying that any person who goes against this political vision is committing haram and is sinful. This will not sit comfortably with most people. Fully agree with you , mate. This sheikh has firgotten tge plight of other muslims around tge word, cause they are not of arab origin. Brother, your question is massively misleading and displays a sentiment similar to what you have accused the Shaykh without any proof. 1) Ask yourself before drawing invalid comparisons; is Israeli settlement land stolen? If the answer is yes, then it falls under the ruling of stolen land including planting and building on it which you are free to read about in your spare time. Because essentially you are either denying that settlement land is stolen land, or saying that by my invalid comparison, something (you have not mentioned), makes Israeli settlements not fall under this category. Spain and IsraelI settlements are wholly different. The theft of the latter is firstly recognised internationally, and both parties, the appropriator and the victim are known. In the absence of the ‘thief’ the land has a rightful owner. Can the same be said about Spain? I thought not. 2) Palestinian farmers are the ones demanding the boycott. Again, with a bit of reading you will find that they are closer to slave labourers who have found no option but to remain on their plantations and work for settles. Working conditions are dire and wages are on par slavery. In the absence of the settlements, the land is entirely the Palestinians to cultivate and plant themselves. 3) The impermissibility of benefiting from stolen land is well known and is classically supported by Ijmaa’ (consensus). With this in mind, the Shaykh has not produced anything new, but stated the obvious. Something that may not settle well with owners of big businesses and those who have signed large contracts with Israeli producers, buy well, truth is worthier to be said. Good response! What is it with Muslims? 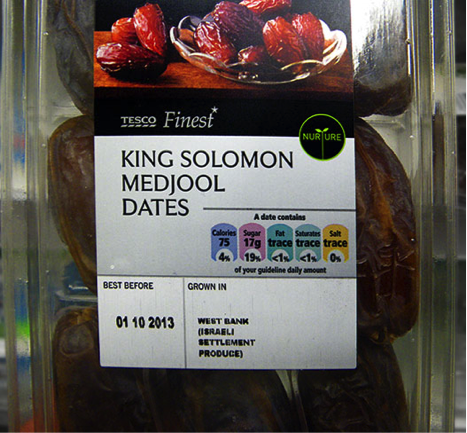 If we cannot agree on such obvious issues as boycotting Isreali dates. Nit picking…..
JazakAllahKhair to the Shaykh for tackling relevant issues. Thanks for the Hasbara AbdulMalik. Some of us were fooled. “O you who beleive! 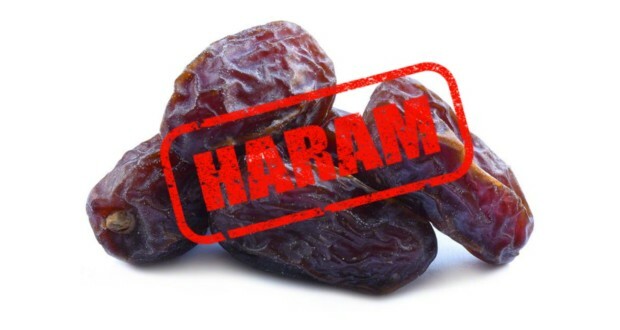 Do not make haram the good things that Allah has made halal for you” (5:87). 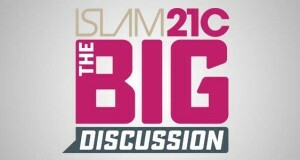 Every fatwa, and especially one that seeks to make haram something that has previously not been considered haram, must cite the exact passage(s) from the Qur’an, and the exact ahadith, with the grade of each, upon which the fatwa is based, as well as additional sources, evidences, arguments, and reasonings, that have led the scholar to make the fatwa. Thus can other scholars, and ordinary Muslims, see clearly whether the fatwa is Islamically sound, or not. In the information published above, I cannot see relevant passages from the Qur’an, nor ahadith, cited, nor can I see arguments and reasonings that derive from Qur’an and hadith, and culminate in the fatwa. 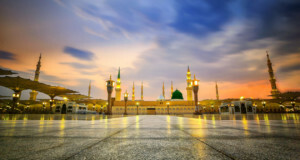 Given the gravity of the fatwa, being one that seeks to make haram something that has not previously been considered haram (even though the consensus may have been that it was makruh (disapproved or even detestable)), I submit that these deficiencies make this fatwa Islamically unsound, and therefore invalid. 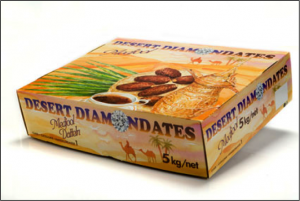 Has purchasing stolen products not previously been declared Haram? Or are you inventing specious arguments in the religion? Have some fear of Allah and a slightly deeper look than a surface level understanding of the application of something known in the Shariah at beginner level.